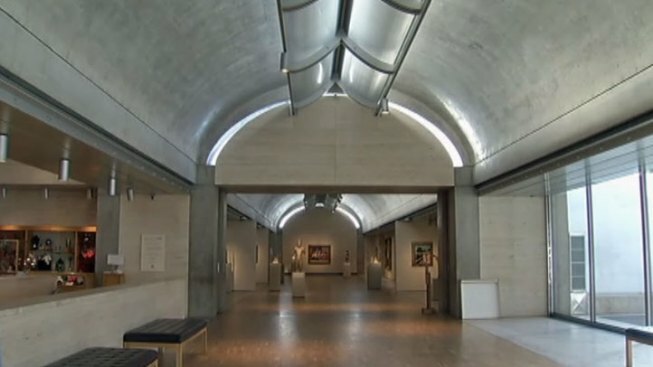 For the last 40 years, The Kimbell Art Museum has been collecting and displaying pieces of art in Fort Worth, with an emphasis on conservation. In the new exhibit, "The Kimbell at 40: An Evolving Masterpiece," the museum is putting on the largest display ever of its permanent collection from Oct. 7 to Dec. 30. More than 220 pieces from the collection will be on display throughout the museum -- and it's all free. Going further, the Kimbell has produced a brand-new app for iPad that allows visitors to get additional information about 32 selected works from the collection. "Conservation is one of the most important and fascinating things we do here at the Kimbell, and it's so rare that we have the opportunity to share this type of behind-the-scenes information with our visitors," Museum director Eric M Lee said. "With the iPad app, we're able to deliver in-depth research, descriptive images and intriguing discoveries too extensive to be included on the gallery wall labels, in an innovative format that allows for personalized exploration of the collection." The app is a significant update to the labels, audio tours, or other interactive informational options as it allows visitors to access background text, zoomable images, and more for works by Caravaggio, Monet, Picasso, Michelangelo and others at their own pace. The free app will be available for public use on 20 iPads available for public use at the museum. NBC 5 is a media sponsor of "The Kimbell at 40" exhibit.